Last November 10, I finally had spare time so I dragged myself to SM Megamall after work for a day of strolling. It’s been quite a while since I spent some time to look around and/or buy stuff other than to just go there, eat then go home. After buying a box of donuts, a book, looking through guitars and other appliances, getting star struck at the sight of Ramon Jacinto and asking fabrics prices, I sure was hungry. I wandered around and found this certain section of the mall where a group of restaurants were situated. After scanning the strip of restaurants, I settled at dining at Chef’s Quarter. I always like to try something new and Chef’s Quarter was a restaurant I’ve never checked out before. After looking at the big menu posted at the entrance, I thought the prices were certainly affordable plus, the ambiance was really nice. There were not much people inside so I opted to seat at the couches by the glass window. The food attendant that assisted me was very pleasant and as soon as I settled, she handed me the menu and served a glass of water. I was excited to try their desserts but I thought I’ll just order it after my meal. I also asked her if I can go around and take pictures of the place and she pleasantly said yes. 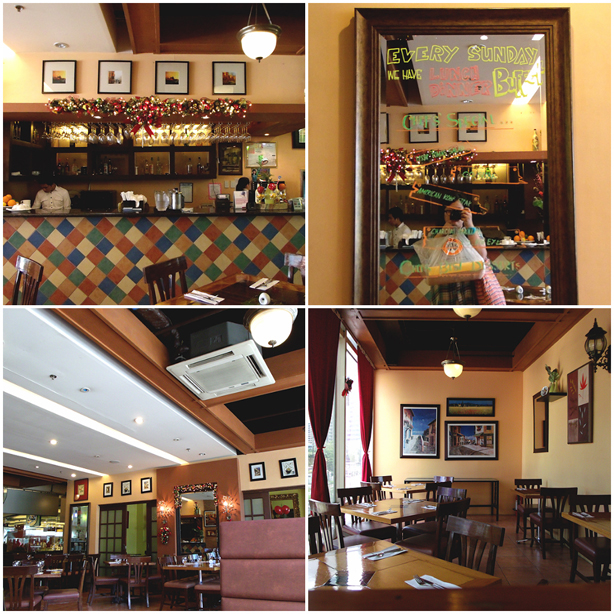 The Dalandan juice I ordered was served right away, and while waiting for my food, I took quick shots of the restaurant’s interior. The place was indeed homey and elegant at the same time. I love the design of the tiles on the bar’s counter; it reminded me of a quilt. 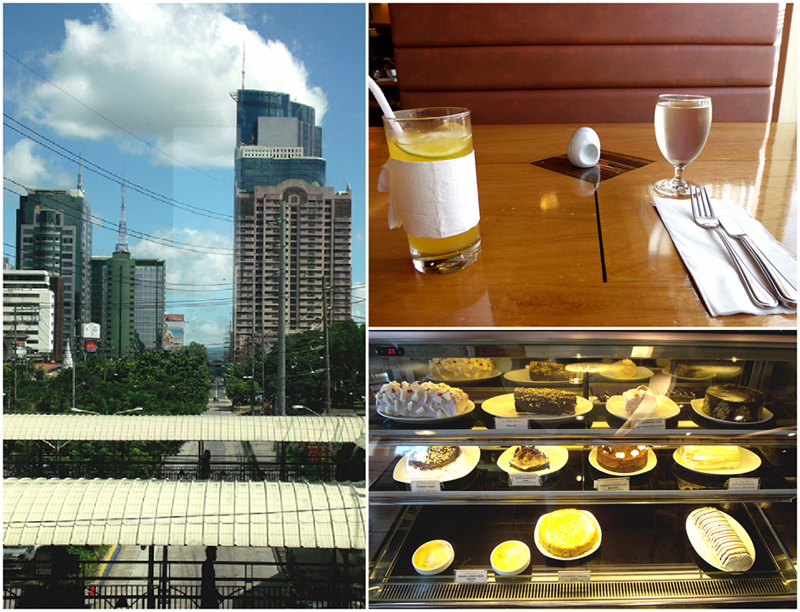 (Clockwise, L-R) View by the window, my table, the desserts. Okay. I never actually thought that Solo was good enough for two! It was great that the servings at Chef’s Quarter were actually huge; too bad I dined alone there yesterday. The fish was had a crunchy coating while the inside was soft and flavorful. The dip gave it quite a tangy kick. Though there may be a lot of great food on their menu, I can’t help but order this. I am forever a fan of Pork Belly/Liempo! I also added a serving of rice for this because pork and rice is the most perfect combination (hehe). I probably won’t stop gushing about Chef’s Quarter’s Crispy Pork Belly for a long time because true to its name, the skin was so crispy and the fat under felt like it melted in my mouth. The meat was not dry; it was cooked perfectly. And even though I don’t eat liver of any kind and liver cooked in any way, I totally gave in to the liver sauce. It was awesome and delicious and was worth giving in. The potatoes were chunky though I thought it was a little underseasoned. I had this to go as pasalubong for my folks. Originally, this was flat in a box that says Uncle Cheffy’s (their sister company) and that it was cooked in a brick oven. It came with three condiments: greens, alfalfa sprouts and tomato salsa. I asked them if they could put it instead in a smaller container since I already had the box of donuts to carry. 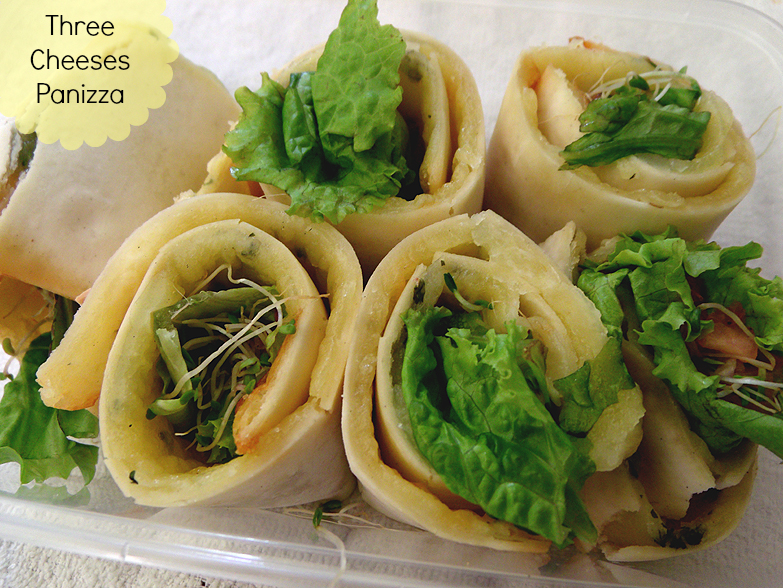 The Panizza was already rolled and fit in a small plastic container when they gave it to me. We had to reheat it when I got home and surprisingly, the Panizza’s quality was not at all compromised. Though it was not that crispy anymore, the crust was soft but not at all soggy. I love this to bits! It was every bit cheesy and the tomato salsa gave it a complementing tangy taste. The alfalfa sprouts added an earthy taste and a more rustic feel. Although I would very much like to have dessert, I couldn’t because I was full. I had to ask them to wrap the remaining Fish and Chips and Crispy Pork Belly because there’s no way I could finish it all. I absolutely enjoyed the meal I had at Chef’s Quarter. Besides their great dishes, they definitely know how to take care of their guests. Two thumbs up at their customer service! Gastronomical satisfaction was once again achieved. I definitely recommend Chef’s Quarter to everyone looking for wonderful food and excellent service! 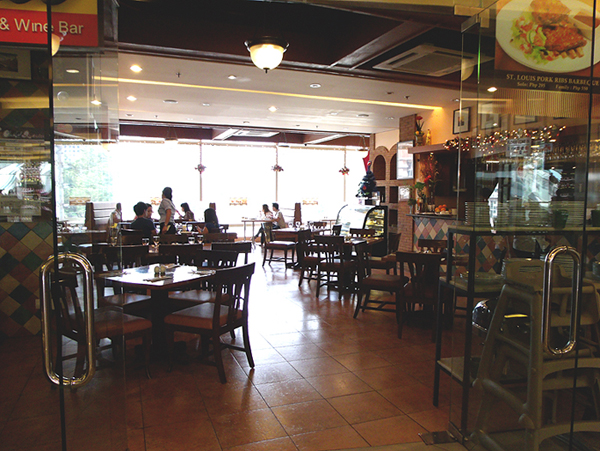 Chef’s Quarter’s (SM Megamall) Official Facebook Page here.